Marseille soap flakes. Scented with essential oil of lavandin. The Serail. Marseille soap flakes to wash all that is delicate. Scented with essential oil of lavandin. 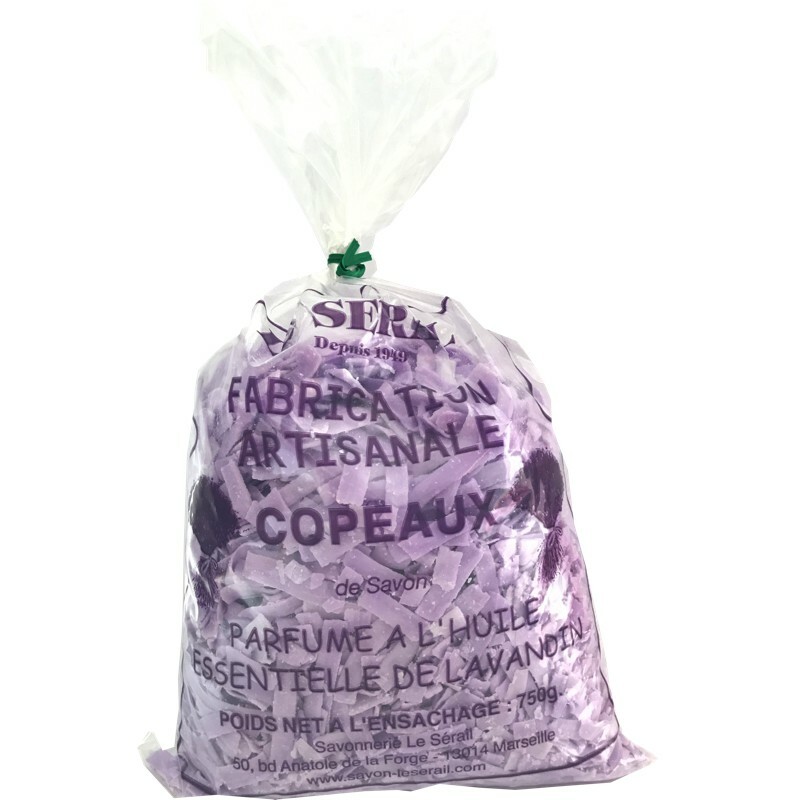 Made in Marseille by the soaps factory "the Serail"
Extra gentle and effective washing for all textiles even the most delicate (wool, lace, silk). For hand washing: dissolve beforehand some flakes in some hot water (50 °C). Pour a little of gel obtained on the linen. Wash and rinse thoroughly. Wash in cold water delicate textiles. For washing machine: dissolve flakes in some hot water (50 °C) then pour gel obtained into the machine on the linen.